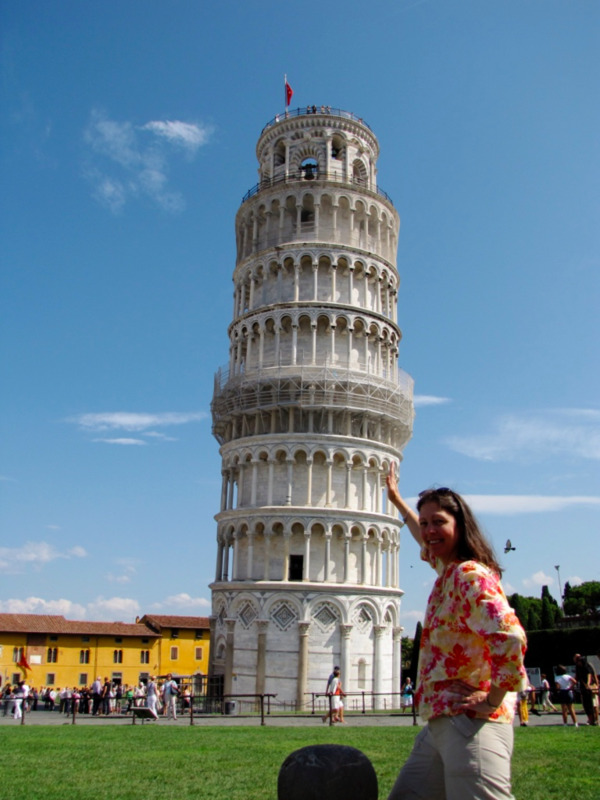 Let’s face it: everyone who visits Italy really wants to see the famous Leaning Tower of Pisa. To be honest, I’m just not really sure what all the fuss is about. It’s just one of the hundreds of towers found throughout Italy, except this one happens to be leaning. 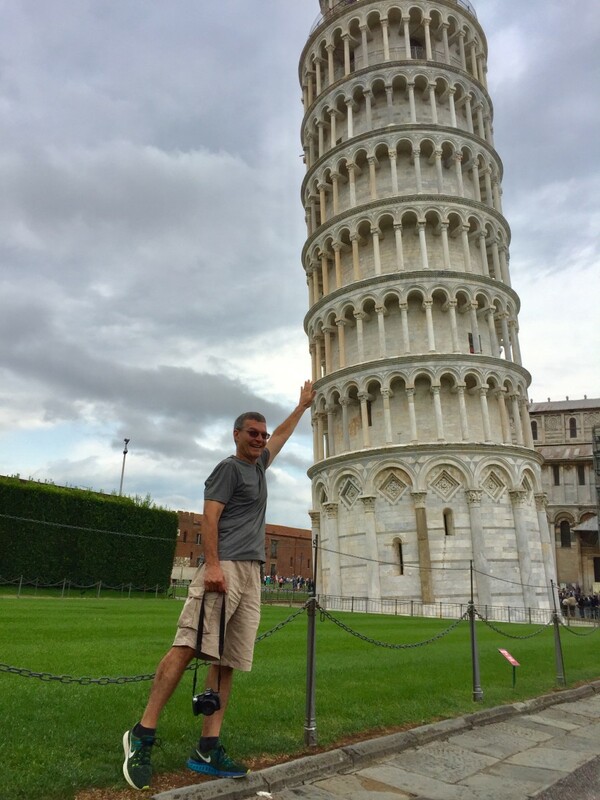 In fact, this is not the only leaning tower in Italy! I distinctly recall seeing one in Venice and another on the island of Burano. A little research tells me that there are actually seven leaning towers in Italy, and three of them are located in Venice. So take that Pisa. 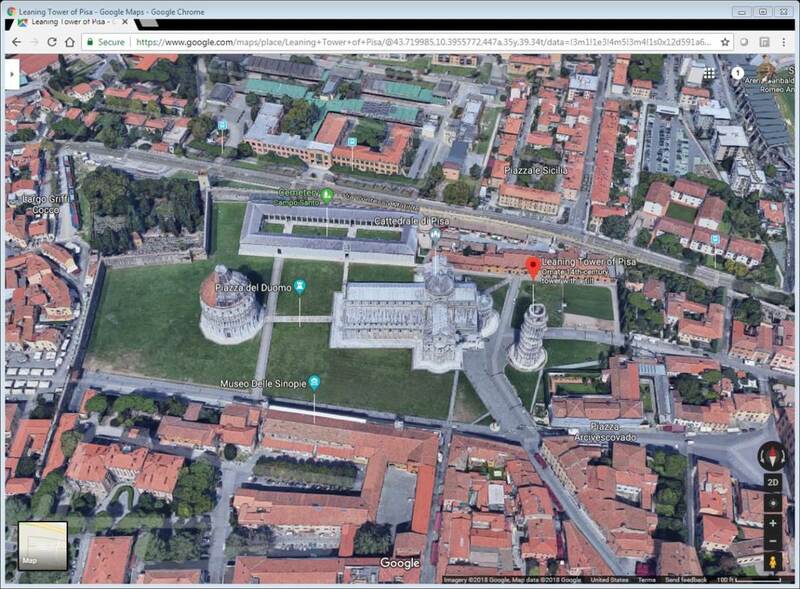 Would I incorporate Pisa into a planned itinerary? If I am in the vicinity would I make an effort to see it? So the obvious question is should you make the time to get to Pisa to see this famous Italian landmark, and is it worth the effort? The answer really depends on where you are coming from and how much time, energy, and money you are willing to spend to see it. To be honest, there are plenty of other interesting sites to see across Italy, so dedicating half a day to a full day just to see the Leaning Tower of Pisa means less time spent elsewhere. 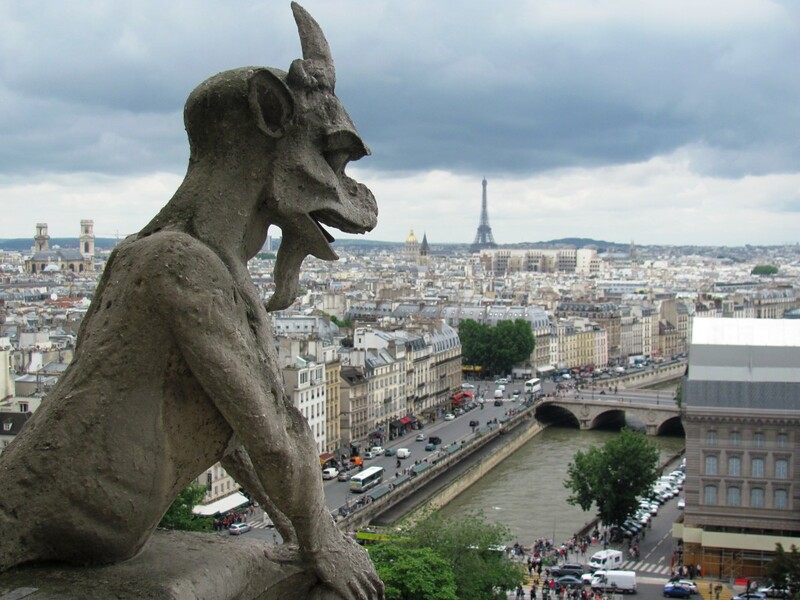 On the flip side, we are all tourists at heart, and certainly, there is something about this tower that lures visitors from all over the world, so why not see it? I will tell you that I have actually been to Pisa twice to see the tower. Neither visit was really planned, but because we were close by, it was easy to get to and we figured we might as well see it. What Is There to See Besides the Tower? 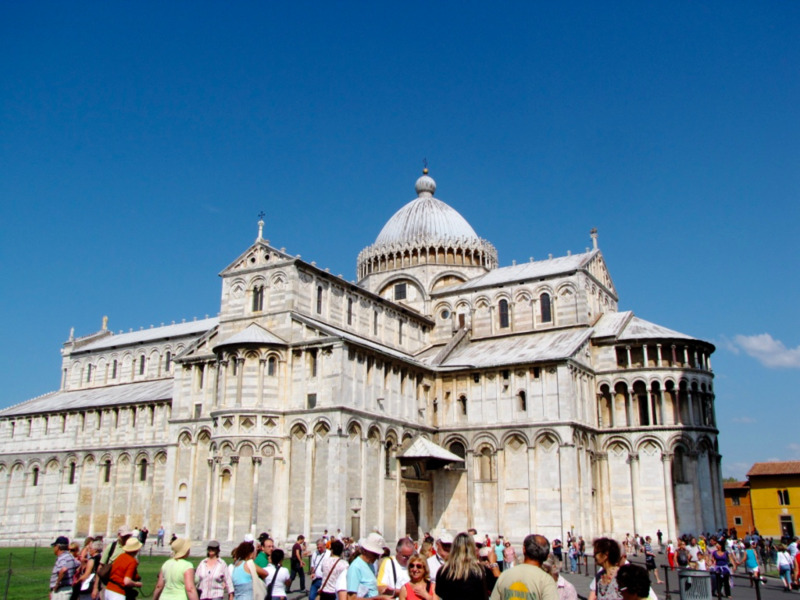 The entire tower complex is known as the Piazza die Miracoli, or the Field of Miracles. 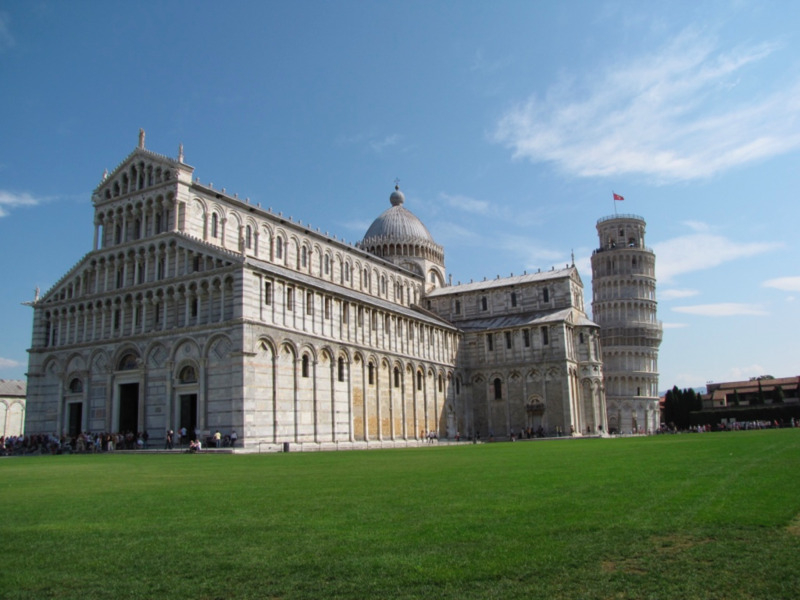 Four buildings make up the complex, including the Bell Tower (Campanile), the Cathedral of Pisa, the Baptistery, and the cloister that encloses part of the cemetery. The Cathedral of Pisa—one of Italy’s Grand Cathedrals—is a magnificent building that was started in 1063 and completed in 1092, almost 80 years before construction began on the tower. The entire complex is contained within a walled area and is very compact with everything within close proximity to each other. If you venture outside of the complex in search of interesting sites, I’m afraid there is not a great deal to see, at least in my opinion. There is the Botanical Garden, the Piazza del Cavalieri, and a scenic path along the Arno River, but most visitors seem interested in seeing just the tower. Hopefully, I haven’t swayed you out of visiting the Leaning Tower of Pisa. 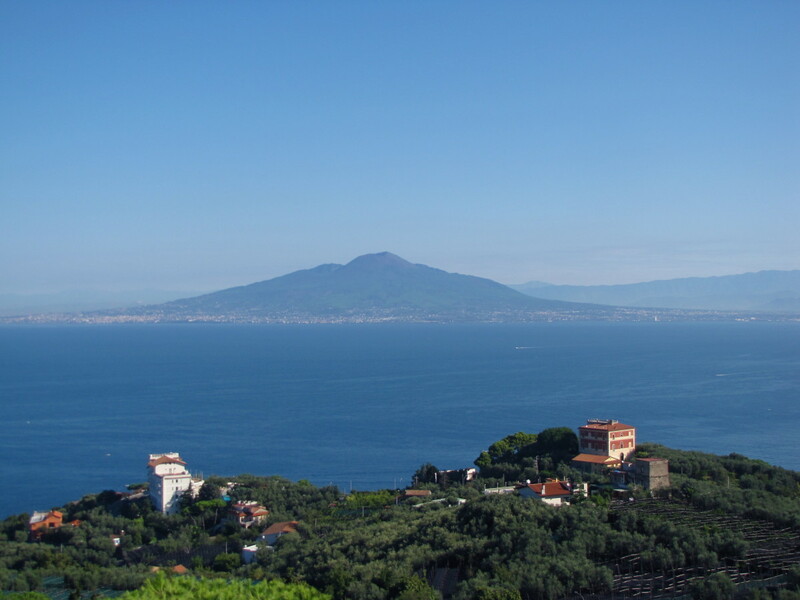 It is certainly one of Italy’s most popular attractions, and it draws visitors from all over the world. It’s actually a lot of fun to people watch the crowds in the complex as they try to get their photos and selfies. 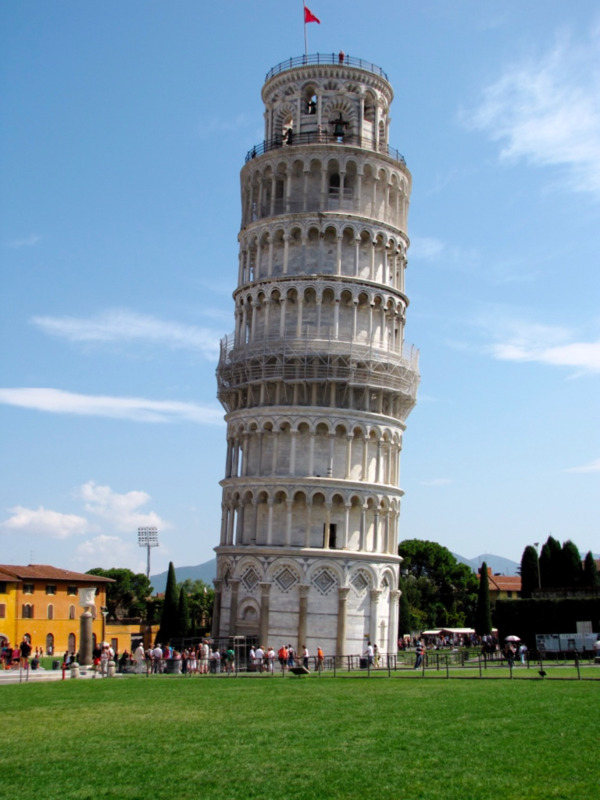 Like it or not, this tower is a part of Italy’s legacy, and the community of Pisa has gone to great lengths to preserve the tower and make sure that it is safe for visitors to view and climb. 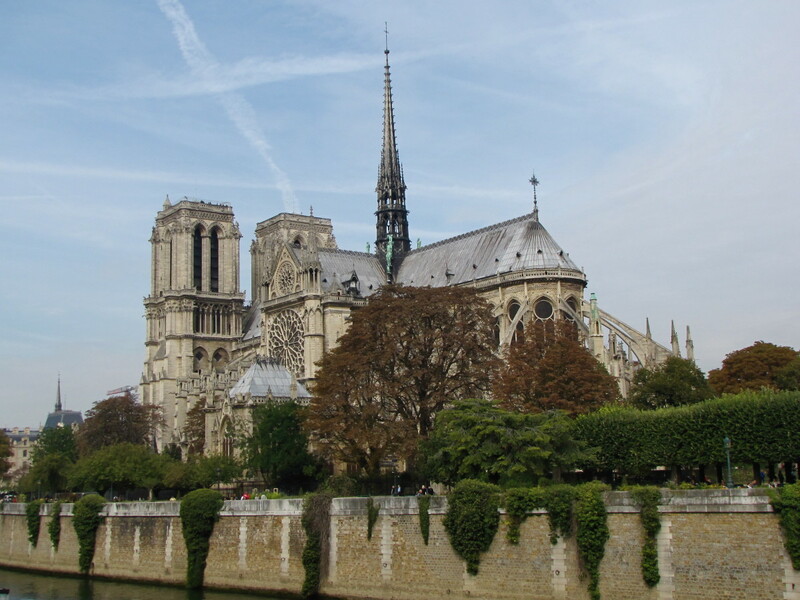 Construction started in 1173 and finished in 1399. The tower was originally planned to be 60 meters tall. Its height today is 56.67 meters on the high side and 55.86 meters on the low side. Surprisingly, there is confusion and controversy over the number of steps to the top. Various websites range from 250 to 297, which seems like a large margin of error. According to a website I found where they actually counted the steps while filming the ascent, there are 269 steps to the top of the tower. I believe this number is correct. The tower has eight stories, which includes the top floor bell chamber. There are seven bells in the tower, one for each note on the musical major scale. The tower is leaning due to the soft and unstable clay soil upon which it was built, and an inadequate foundation. By 1178, as construction reached the third story, the tower had already begun to lean. A renovation project to secure the tower was completed in 2001. This project made the tower safe for visitors to climb. The engineers that worked on the tower renovation project believe that it is possible to totally straighten it. 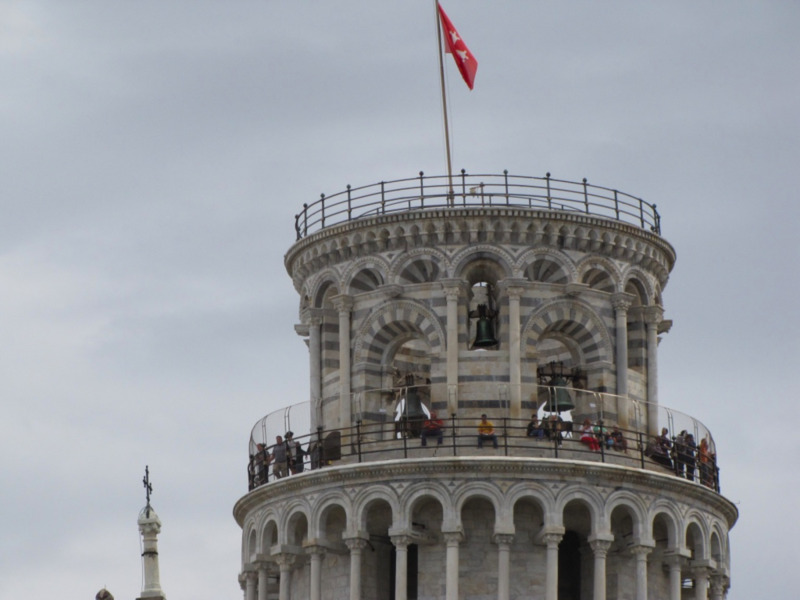 However, nobody really wants that to happen, especially the community of Pisa that has lived off of the six million annual visitors to the tower for a very long time. Prior to the restoration project, the tower was leaning at 5.5 degrees, it now leans at an angle of about 3.99 degrees. April to Sept: 9 am to 8 pm, except open until 10 pm mid-June through Aug.
​​October: 9 am to 7 pm. ​​November: 9 am to 6 pm. ​​December to February: 9:45 am to 5:15 pm. ​​March: 9 am to 6 pm, 7 pm the last week of the month. Entry to the complex and grounds is free. The fee to climb the Leaning Tower of Pisa is 18 euro. ​Entry times are available every half-hour. ​Tickets are purchased for a specific entry time with a limited number sold. ​Tickets can be purchased ahead of time for a hefty fee of 10 euro. ​Children under 8 years old are not permitted to climb the tower. If you have decided to visit Pisa, it’s actually an easy place to get to. 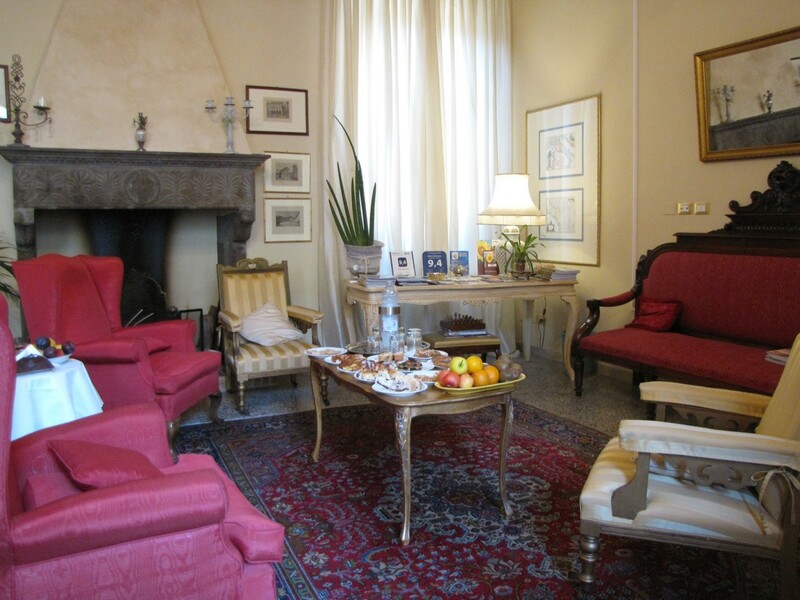 It is accessible by train from Lucca, Florence, and Rome. The trip from Lucca is just 30 minutes, while Florence is about an hour away. How Much Time Should You Spend in Pisa? Expect to spend a few hours to visit the entire tower complex and to take your photos. If you are coming from Lucca or Florence you can definitely do this in half a day and be back in time to enjoy other sites. Rome, while further away, is still doable and will take approximately two and a half hours by train. Should you be arriving by car, there is plenty of parking surrounding the complex. Some of it is free and some requires a fee. If you are arriving by train at the Pisa Central Station, be aware that the tower complex is 2 kilometers away, about a 25-minute walk or a 10-euro taxi ride. I mentioned earlier that we have seen the Leaning Tower of Pisa twice. The first time we were staying in a small village called Montemagno. It’s in the hills outside of Pisa and my very first glimpse of the tower was from our B&B window using a long telephoto lens. It was great fun to spot it from about seven miles away, albeit was small and distant. We did get into Pisa on that trip and what I took from that visit was that it is definitely over-hyped, yet a lot of fun to actually see it and create funny photos doing stupid things in front of the tower. This is of course why so many people want to see it, so they can take that coveted selfie or photo struggling to right the tower before it collapses. 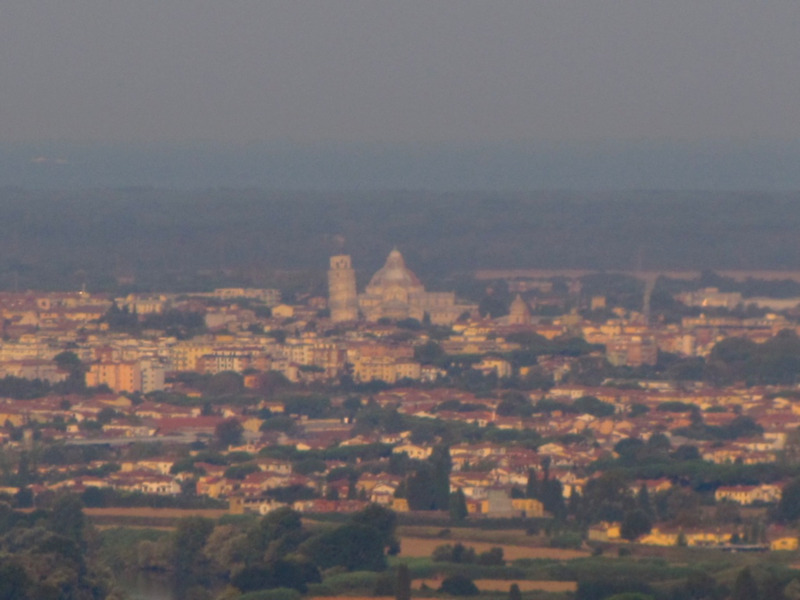 Our second visit to Pisa was much more recent, and this time we came from Lucca. Pisa is, in fact, a very easy day-trip from Lucca for those who want to get there, see it, and get out of there. Lucca, by the way, is absolutely beautiful and has lots of towers that are higher and just as interesting, in case you were interested. Lucca is a mere 12 miles north of Pisa and a very easy 30-minute train ride away. 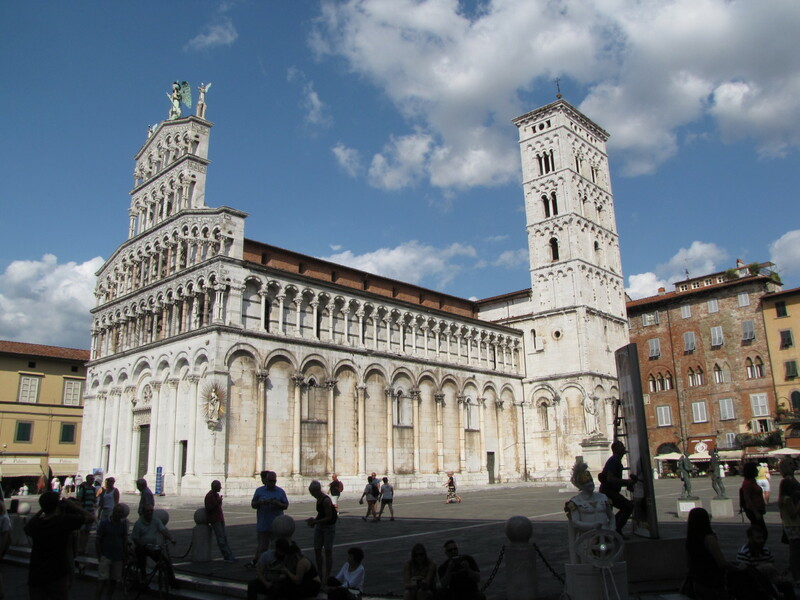 If your travels are taking you to Lucca, definitely consider taking a few hours to visit Pisa. So why did we return to see the tower a second time? We were traveling with friends who had not seen it, and being so close, you can hardly ignore its drawing power. The entire complex, which is contained within a high wall to hide its treasures, can be accessed through a couple of gates. The price you will pay to enter, which is free, is a run through the gauntlet of vendors trying to sell you Pisa trinkets and souvenirs. It’s actually an unwelcome and somewhat tacky introduction to the complex. Once you manage to slither through, however, I think you will be impressed, as I was, at the beautiful green grass that carpets the complex and the stunning cathedral before you. 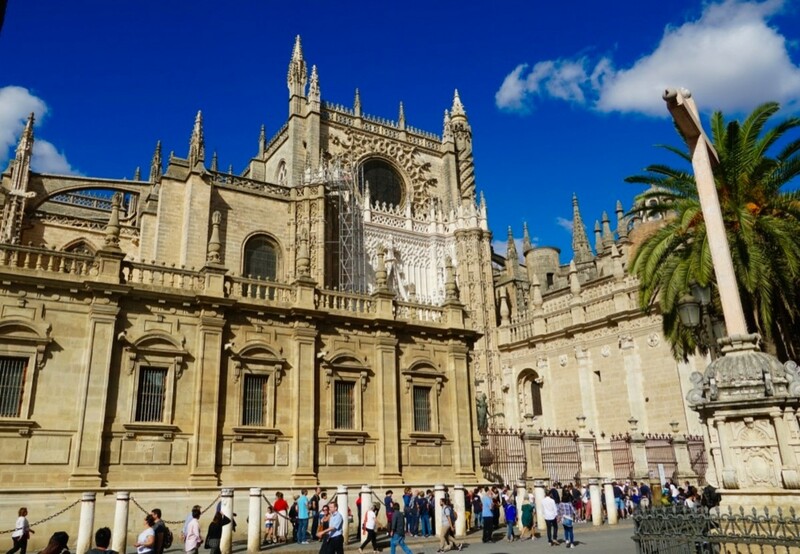 And yes, located just behind the cathedral is the tower that leans, the reason you are here. I have noticed some articles note a lot of references at the end. As a fledgling travel Hubber, I wondered whether a more experienced Hubber, such as yourself, can advise me please on whether this is necessary with travel hubs? I have never used references in my Hubs. Most of what I write about is my experiences while traveling. I do take visitor information such as hours, fees, directions, etc., from websites but I have never referenced them. HubPages has never taken issue with this so I assume it is okay. I have noticed that other writers do use references, but they are usually writing on other topics. Thanks Natalie. I love that photo also. It was our first glimpse of the tower. It can be a fun place to visit and you can see that people have a good time posing and taking selfies in front of it. Thanks for stopping by, have a great day. I really love the blurry photo. While I always wanted to see the tower I didn't really think it was that big, that it was just a local tower and more of it's popularity was due to fame. The blurry photo makes it seem far more imposing. Thanks for a well rounded discussion of vising this site. Thanks Mike. Yes, you could literally spend months there and still not see everything. As for the Leaning Tower, we have now seen it and have no plans to return, on to bigger and better things. Very good article. You make a great point. There are many things to see and do in Italy. Pisa is an experience because once you mention seeing the leaning tower, everyone seems to know what you're talking about. I saw it years ago with some friends. 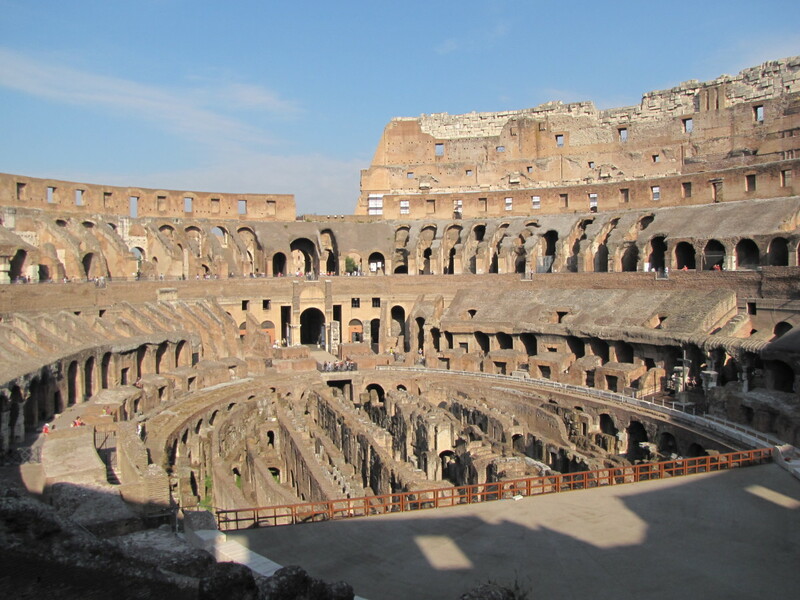 Italy is a place you could spend months in and still not see all of the historical sites. Enjoyed reading this. Good pictures. Hi Dianna. I was surprised to learn that they can actually straighten the tower. If they did I suspect that there would be no one posing in front of the tower. Thanks for stopping by, have a great day. You are quite strong to hold up that tower! It would be a bit sad to see it straightened but good to know that it can be done if needed. Hi Peggy. That’s pretty much how I looked at it. It was fun, and the complex is beautiful, but we would not have visited if we were not in the area. I think I can safely say that having been there twice we will not return. 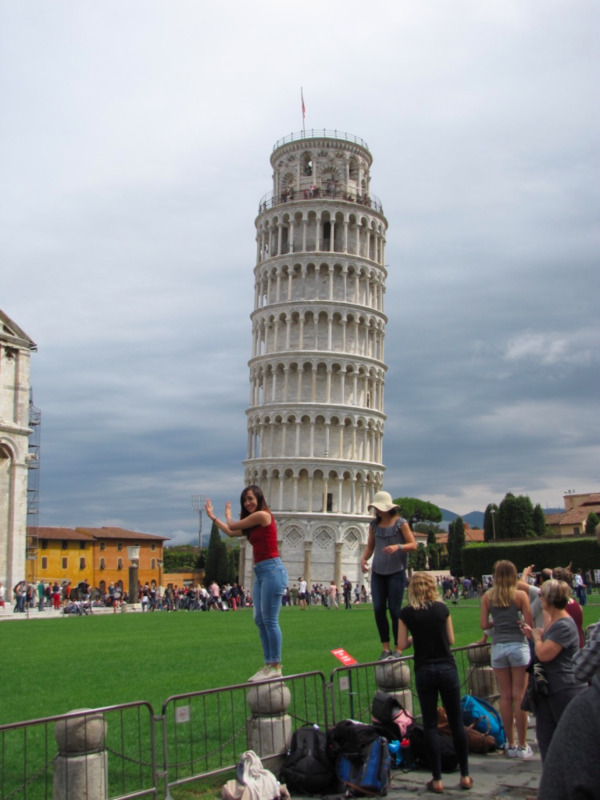 I think that many people visit the Leaning Tower of Piza because of the notoriety given to it plus the fun photos people like to take when there. The entire complex looks interesting. It would not be on the top of my bucket list of places to visit in Italy however. Hi Dred. Yep, everyone wants to see it because it’s famous, but it’s really not overly special. We enjoyed Lucca much more than Pisa. But, because it is famous and known worldwide everyone seems drawn to it. If you are close to Pisa, see it, but don’t go out of your way to get there. Thanks for stopping by. 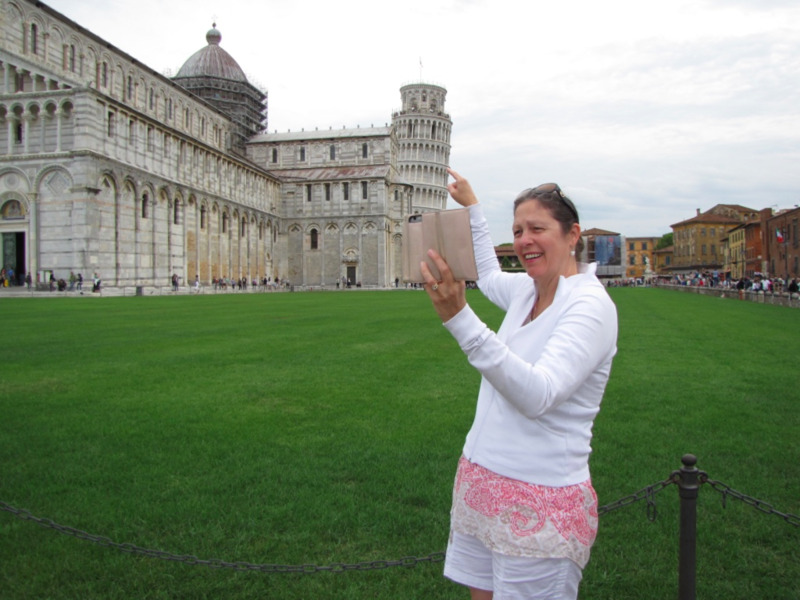 I had 2 unsuccessful attempts before I was able to visit this famous landmark of Pisa. As a traveler, I included it in my must travel places. But is it really worth sacrificing other beautiful places in Italy? I must say NO because there's nothing special about it. It is just famous that convinced me to visit the place. Thank you Heidi. There’s just something about this place that draws people from all over the world. Hopefully you get there someday. Have a great day. Yep, this is just one of those sites that people want to visit regardless. And if I get there one day, I'd probably do it, too. :) Your pics are amazing, as usual! Hi Glenis. They really need to clean up the entrance area that really is a gauntlet of tacky and trashy vendors. And yes, the crowds can be sufficating. Thanks for stopping by, have a great day. I agree with you Bill.We were passing through Pisa and couldn’t resist the opportunity to see the tower. I didn’t enjoy my visit. Too many tourists, booths selling trashy souvenirs, and a couple of insistent migrant beggars/pickpockets who followed us down the street until we loudly told them to go away. Thank you, Linda. The cathedral is actually more interesting than the tower. But, if you're in the complex you are right there so might as well see it all. We actually found Lucca to be much more entering than Pisa. It has amazing churches and many towers. Hi Mary. That is basically what I tell people who ask. If you in the vicinity by all means stop and see it, but don’t go out of your way. Thanks and have a nice weekend. Thank you Linda. If we were not very close by we would never have seen the tower, and it really would not have bothered me at all. There is so much more to see across Italy. Have a great weekend. Thanks for this review, Bill. I appreciate the points that you've raised. 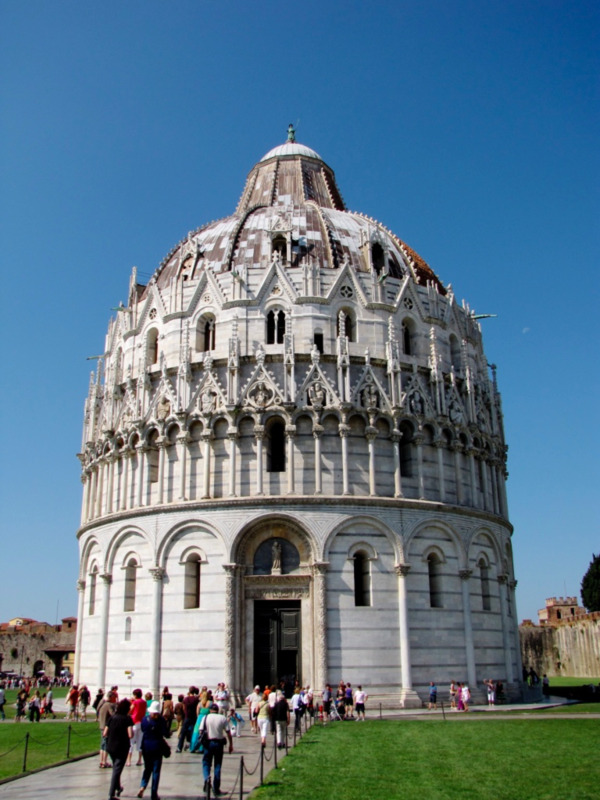 I think I would rather visit the Cathedral of Pisa than the tower, since I enjoy visiting historic cathedrals. If I was in the complex I would probably visit the tower as well, though. I agree withy ou that it is worth a visit once you are in the vicinity. We drove to Lucca so it was easy for us to go and see it. Many of us heard it first from our History lessons as one of the great wonders of the world so the interest is right on. Bill, I've visited Italy several times and after reading numerous reviews I chose to NOT visit Pisa. Now that I've read your article I'm glad that I made that decision. Like you I found many other towers that were already in amazing places and didn't require a lot of effort (I was already there!). As always your travel guides are spot-on and well done. Hi Liz. One of our visits was from Lucca and it’s an easy day-trip from there. Lucca is actually beautiful. Have great weekend. Hi Bill. To be honest I was not overly excited to see it, but we were close by so what the heck. It’s really not that exciting, it’s actually more interesting to people watch while they take their selfies and photos. A great weekend to you also. To be honest, I would have no desire to go see it. I've seen it in pictures thousands of times, and it holds no spell over me. :) But thanks for the stunning pictures of the other architecture. Have a great weekend, Bill! Thank you Louise. I loved that quote also and it’s so accurate. You see it, take some photos, and then go find something to eat. We did have some fun with the pictures. Thanks for stopping by, have a great weekend. I've never visited here before. I love the Danny DeVito quote. That's very true lol. And I like the picture of you trying to hold it up! I'd love to visit Italy, it's a beautiful country. Hi Flourish. Thank you. To be honest if we weren’t really close to Pisa we would not have spent the time to see it. I definitely wouldn’t plan a trip to Italy around visiting the tower, there are much more interesting things to see and do elsewhere. Have a great weekend. I’m glad you focused on the question of whether to visit. 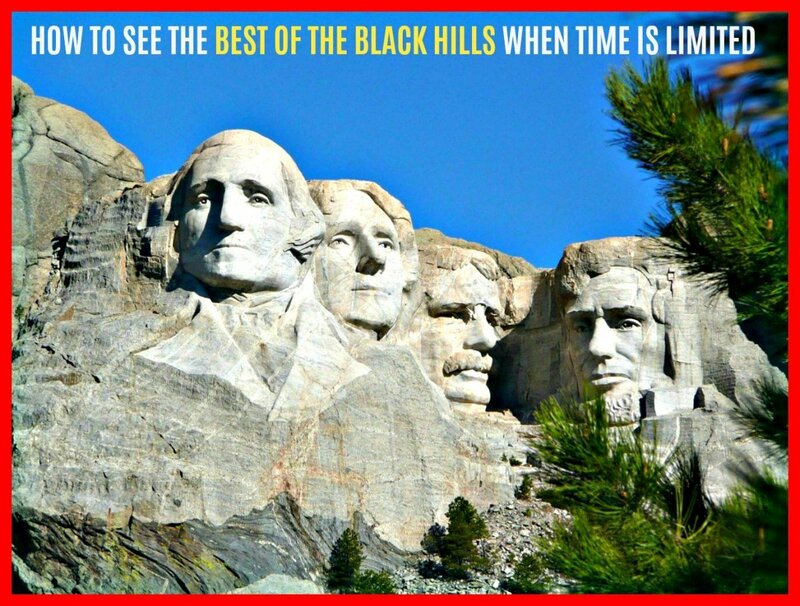 I’ve visited some famous places and spent a lot of time and money to get there only to be underwhelmed.